Small case with big sound thanks to a wide case design. 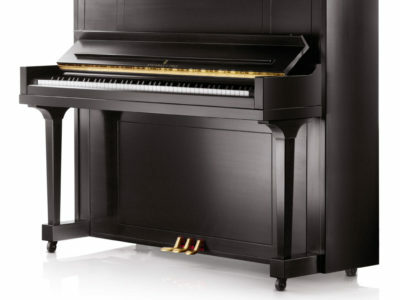 This small grand offers larger soundboard area in comparison to other pianos of the same size due to the innovative wide tail design which adds richness and clarity to its tone. The soundboard is made of Sitka spruce wood that is proven to be high resonant material. The soundboard is tapered which allows for more efficiency in transferring the sound and vibrate more freely. 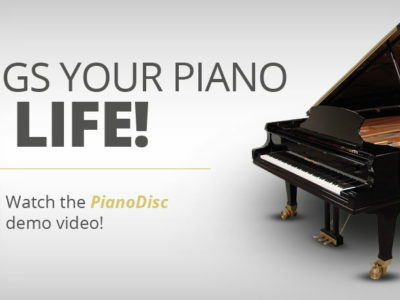 It has unique patents by Steinway & Sons and special features that result in powerful sound that is not common in this size range. 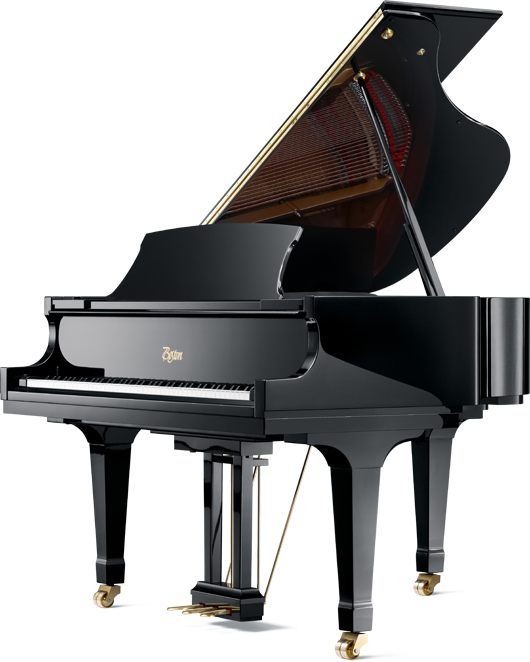 The GP-156 PE features a duplex scale design – adapted from the famous Steinway & Sons design – which adds richness and tone quality not found in small grand pianos. This Boston model has a lower string tension which allows for a larger and tapered soundboard that produces more sustain and singing quality. 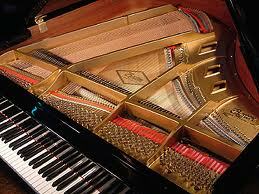 Also lower string tension helps extend the life of the piano. Hard – rock maple inner rim: Laminated hard rock maple (Acer Saccharum) inner rim. Laminated Philippine mahogany outer rim. Continuous bent rim. 11 outer rim laminations, 17 inner rim laminations. 23mm (7/8”) outer rim width, 38mm (1 ½”) inner rim width to improve tone projection and tonal stability. “Octagrip” Pinblock: Made of 11 layers of hard rock maple glued in various angels allowing the tuning pins greater stability under tension which helps keep the piano in tune longer. 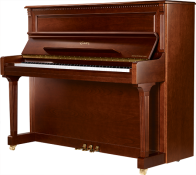 This small grand is available in beautiful polished and satin walnut and mahogany finishes in addition to the standard polished and satin ebony. 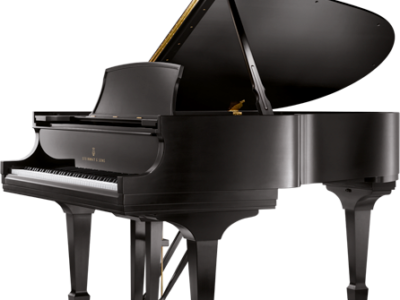 Synthetic Ivory and Ebony Key Covers with special material that absorbs perspiration. Lock for wallboard and top lid. Pedals made of heavy solid brass castings. Soft, Full sostenuto and damper (sustaining). 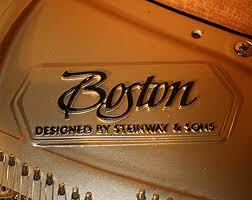 Be the first to review “Boston GP-156 PE Baby Grand Piano” Click here to cancel reply.